Why is a high stake chess tournament like Millionaire Chess Open good for Chess in USA? Since the announcement last December of Millionaire Chess Open, there has been lots of buzz around. I myself have rode the tide and tried to follow the trends on this. Definitely there are lots of doubts about whether such a high stake chess tournament is feasible to organize at all. One question of the many were - are such high stake chess tournaments going to be good for Chess or Chess in USA? While the answer may sound obviously Yes, I have paid attention to the naysayers as well. It was one of the points on my post around the skepticism of Millionaire Chess Open tournament. Today I want to share with you why I think high stake chess tournaments are good for chess in USA and for chess in general. Consider myself as a regular slightly above average strength chess player who spends approximately 10 hours a week on Chess (including tournament play). I guess my case will resemble many other regular chess fans in the country and help you come to a conclusion yourself. When I participate in chess tournaments around Northern California and occasionally drive or fly out of town to join one, I see that my entry fee and expense vs the reward that I get has a high negative balance. For example a 2 day chess tournament of 20,000 USD prize money has an entry fee of $120 in under 1800, 2000 and 2200 sections (these are the sections I have played in last 3 years). Lets say its within my neighboring town (no hotel cost); then the food and gas cost for 2 days are $50. So the minimum costing comes out to be $170. Now if you look at the prize money in Under 2000 section, its $2000-$1000-$500-$200-$125. Now you can imagine that the 4th and 5th prizes are going to only barely cover your expenses. To get some profit you will need to be in the top 3 performers in that section. Lets say the section will have around 80 people. So while mathematically you only have a 5% chance to be one of the top 3 performers, in practice the chance is higher than that because there will be people playing up from lower sections against whom your odds are higher. Lets assume you have a 20% chance of grabbing one of the top 3 prizes. That means every 1 out of 5 tournaments you will get that prize. We can average out the prize as (2000+1000+500) / 3 ~= $1200 (approximately). So lets say in 6 months you play such 5 tournaments and get $1200. Your costing is 5 * $170 = $850. So end of the day in half a year you actually get rewarded about $400 to $500 for playing competitive chess, averaging less than $100 per month. I don't know about you, but often in such tournaments, i pay a $100 just for a dinner or even less than the amount of money I spend per month to buy chess books or DVDs. Now on top of it add to tournaments where you had to fly out or drive out. Those are purely a loss in terms of money. But you enjoy the travel and can make it a chess vacation. For example, last December I won $2000 in National Open at Las Vegas but when I calculated, my overall expense was approx $4000 as my family was with me (and my son also played) and we spent on other non chess staffs too. So in other words, I will say, out of town chess tournaments, we don't need to go unless we can take it as a chess vacation. At least that's the situation right now. High stake chess tournaments like Millionaire Chess is going to change this scenario. You are not likely to get the first 3/4 spots of your sections easily. But once you get, only once, will cover up your years of expenses on chess at once. I would say other than Millionaire Chess, it should b true for World Open, Chicago Open, National Open in Last Vegas etc other tournaments too contribute to and are eligible for being counted as high stake chess tournaments (relatively speaking as most other tournaments have only $2000 or less as section first prize where 3rd prize is probably around $500). Once MC entered the market of high stake, we are looking forward to other organizers trying to be competitive. Of course they can't do it overnight, but it will be a motion started. At least that's the hope. 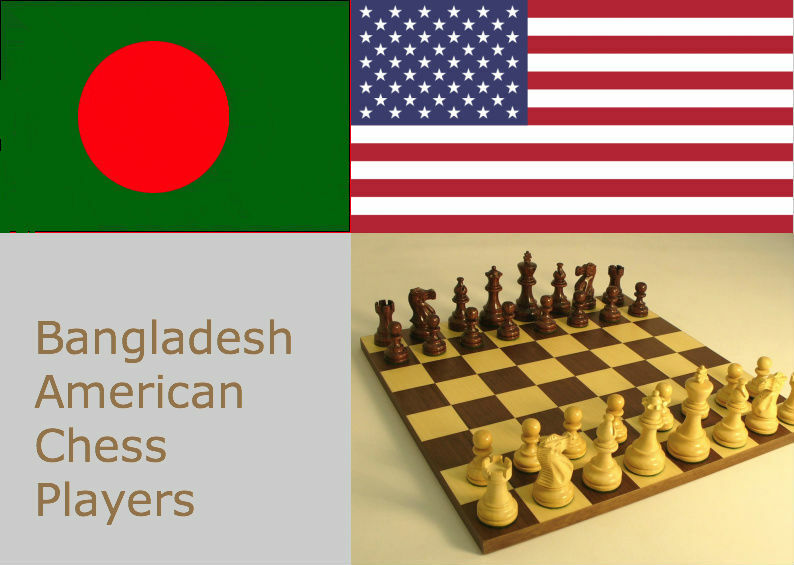 Number of chess players in USA and across the world, will keep increasing thanks to the advent of internet. Remember that Chess is the largest benefitted sport / game that could easily take advantage of internet. Lets support this forward motion and be part of it. This was my first win against an internal master in a normal time control. Although it was played in a local marathon tournament in Fremont NorCal House of Chess, its very significant for boosting my confidence as a chess player.